Sports Medicine Wheaton: Sports injuries can happen to everyone, the most common are listed here. Whether you love playing sports in Wheaton yourself or you just enjoy watching them, sports injuries happen… a lot. As football season kicks off, and other popular fall sports, the possibilities of injury rises. While you hope for it to never happen to you or your children, accidents happen and it’s important that you know who you can come to when they do. 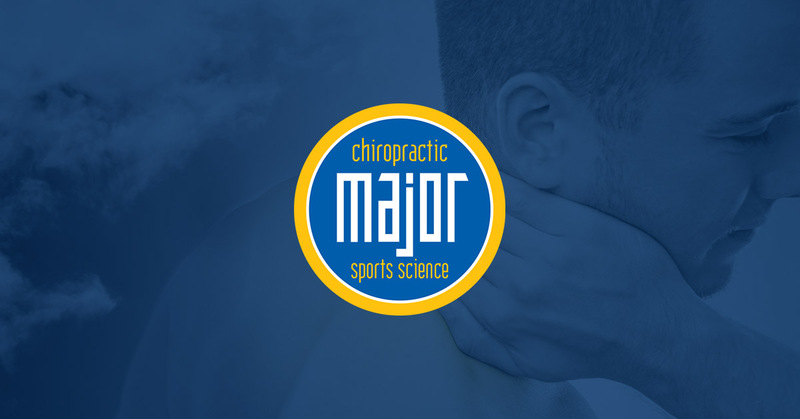 At Major Chiropractic, we are able to treat a variety of sports-related injuries, providing our patients with the best sports medicine and rehabilitation in the area. Not only do we specialize in targeting the problem area, but our goal is to find the root cause of your pain and assess treatment options specific to your injury. Whether you are an athlete or just an avid spectator, you may be interested in finding out what the top sports injuries are and how they occur. Your hip flexors help you move your legs and knees in an upward motion, and can be torn when it is stretched too far. Generally speaking, athletes that experience this injury do so because of sudden changes in movement or direction; they happen most frequently in sports such as football, soccer, and hockey. Many times you will experience pain, swelling, and bruising where your hip meets your leg when this occurs. Your ACL is a ligament that connects your leg bone to your knee. Athletes may injure this when they suddenly stop or experience a high impact to the side of the knee tearing, tearing the ACL either partially or completely. This injury is one of the most serious but fortunately, it is not the most common. The innermost part of the thigh is referred to as your groin and is used to help you pull your legs together. Many athletes pull this muscle when moving side-to-side and it results in bruising and pain that can take a few weeks to heal. 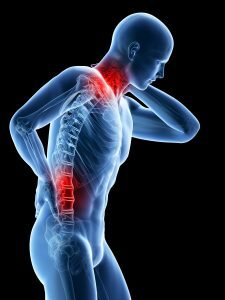 You do not want to leave this injury untreated and should consult with a professional if the pain worsens. Sciatica is a lower back pain that affects your legs and most common for bikers and runners, and can cause bulging discs and back spasms. Improper stretching can lead to sciatica and requires professional help to relieve and correct this pain. Tennis elbow is caused by repetitive use of your elbow creating a small tear in your elbow ligament. Persistent cases call for a professional diagnosis to help you regain strength and prevent further injury. Overuse of your shoulder results in strains and tears, and are most common in sports like swimming, basketball, and volleyball. Building your muscle strength up by conditioning is a great way to avoid this injury. The top injury athletes experience has to do with their knees, specifically Patellofemoral syndrome, where the kneecap come into contact with the leg bone. This injury damages the knee tissues and causes an immense amount of pain. Depending on the severity of the injury you may have to consider surgery to correct the damage. Whether you play sports often or you happen to get hurt the first time you try, our sports medicine team at Major Chiropractic is trained in a variety of areas to help our clients with functional rehabilitation. Our focus is to help you improve your endurance and prevent any further complications and pain. For your free consultation, contact us at 630-580-5029.